Hitco is recognized for Heaters and Heating elements with Innovative Design, Technology, Cost-efficiency and Optimum Performance. Since inception in 1976, Hitco has led the way to innovative solutions for Heating, and has since, significantly expanded its capabilities to Industrial, Commercial and Domestic heaters. 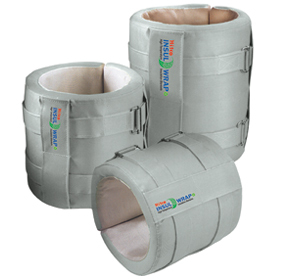 Hitco is India's fastest-growing and truly dynamic heater manufacturer. Scaling new heights and setting global excellence standards is assisted with its world class infrastructure equipped with state-of-the-art machines churning out products of international quality. In the last 40 years, we have transformed from a family owned enterprise to a global scale professionally managed operation striving towards uncompromised customer satisfaction. Today, HITCO is a force to reckon with in the global Heater Manufacturing domain. Through the decades, emphasis was laid on developing capabilities in designing, engineering and testing. Hitco has grown to over 36,000 sq ft of manufacturing space across 3 locations and is today a valued name offering a wide range of heaters to a spectrum of esteemed clients. Great emphasis is laid on our engineering aspect, to build up on the high standards set through the decades. We excel in customised solutions aided with in-house designing, manufacturing and commissioning of projects with great precision, steered by a sound R&D Dept. An experienced R & D Department has helped us in adding inventive and pioneering features in our heaters, fostering an extra edge over competition. 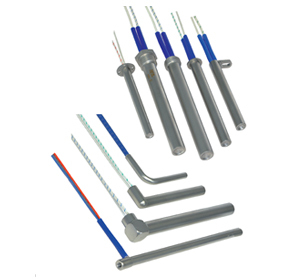 Our installation engineers are continuously trained for maximising client satisfaction and accuracy. Quality products is a habit at Hitco. Setting new and emerging trends in this sector, Hitco offers efficient, safe, reliable and cost effective heaters to a worldwide clientele. Great attention is paid to address the needs and concerns of our customers to help them maintain their competitive edge. 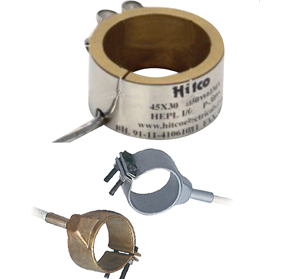 Hitco High Density Cartridge Heaters are manufactured with the latest technology and know how for providing most reliable heating solutions capable of performance for higher wattage application and continuous working requirement. The Thermic Interchange between the surface of the heater and the mass to be heated makes it necessary for Cartridge Heater to fit perfectly in the cavity. Hitco has contributed to global energy saving by developing Insul Wrap Blankets that are made to fit specific sizes. It saves Energy, Protect Environment, Highly Efficient & Technologically advanced product. The heating of nozzle in injectin machines is still today a big problem owing to the costs incidence and subsequent stops of the production process.